For Apple, porting iMessage to Android would be more than a nice gesture to consumers. It would also benefit the company’s brand and business. A couple years ago, an unnamed Apple executive told veteran tech journalist Walt Mossberg that the company wasn’t interested in bringing iMessage to Android. His explanation was obvious to anyone who understands how Apple operates: Excluding the popular messaging software from other platforms helps Apple sell more of its own hardware. The idea that Apple will never port iMessage to Android has since become conventional wisdom in the tech world. While plenty of observers have pined for an Android version—The Verge’s Paul Miller even said he’d use Bing for a year if it happened—their pleas often imply that Apple would be harming its business in the process. Maybe that’s not true anymore. In light of last week’s news that Google is backing a next-gen version of text messaging with iMessage-like features (officially called RCS, but nicknamed “Chat”), the time is right for iMessage to arrive on Android, and not just as a self-defeating goodwill gesture. For Apple, releasing iMessage on Android would also benefit its brand and business. Imagine an Android version of iMessage that behaved the same way as the iOS version: When users send a text to other iMessage users—either on iOS or Android—they automatically get to use iMessage features such as full-resolution images, read receipts, large-scale group chats, stickers, and peer-to-peer payments, all backed by end-to-end encryption. If the recipient isn’t using iMessage, the message falls back to plain old SMS, indicated by a green chat bubble. 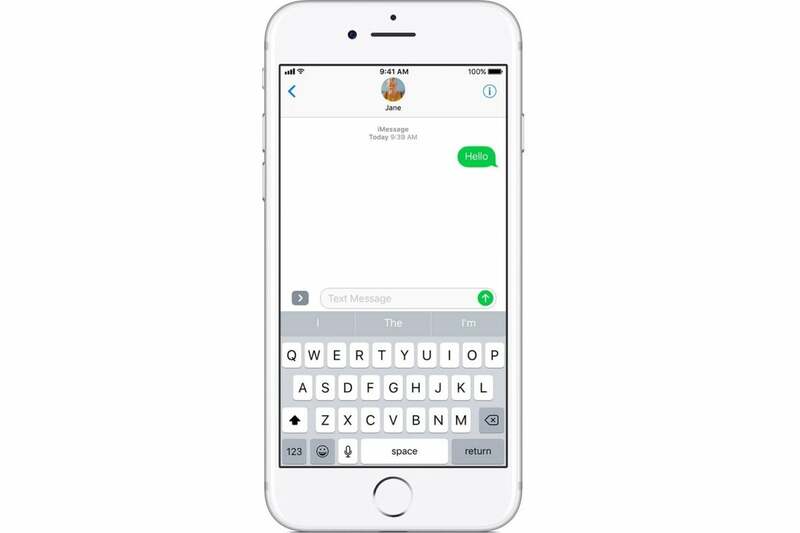 That way, iMessage could replace the phone’s default texting app, the same way Google Hangouts did before it pivoted to being an enterprise chat app last year. iMessage for Android would make the green bubble a thing of the past. It wouldn’t be long before iPhone users—eager for a consistent messaging experience no matter who they’re talking to—started convincing their Android-owning friends to get on board. Apple could even help ramp up the pressure with an “invite to iMessage” button that users can send whenever the dreaded green chat bubble appears. 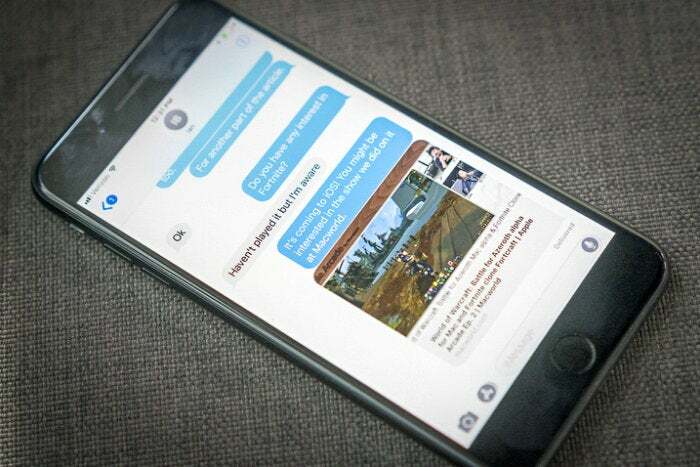 While Android users might appreciate having access to iMessage, the bigger benefit would be for iPhone users, who’d never again have to suffer SMS’s limitations. Alternatively, Apple could just throw its support behind Google’s RCS standard, not as a replacement for iMessage, but as a fallback for messaging with Android users. While avoiding RCS is the right stance for Apple to take, inaction doesn’t accomplish anything for Apple’s customers, who will continue to fall back on unencrypted communications whenever they exchange messages with Android users. By releasing iMessage on Android, Apple could put more pressure on Google and wireless carriers to built end-to-end encryption into the RCS standard, lest they lose even more control of the messaging business to Apple. In the meantime, an Android version would also reinforce Apple’s message that privacy is a fundamental human right, not just a privilege for people who only associate with other iPhone users. Apple’s stance should be that all iMessages can be encrypted, no matter who the user is talking to. Over the last year, we’ve seen evidence that the smartphone business is peaking, including the first holiday sales decline in iPhone history. And most of those consumers stick to what they know; a recent survey by Consumer Intelligence Research partners found that 91 percent of Android phone buyers in the United States last year remained with Android, and 86 percent of iPhone owners stayed with the iPhone. (Because Android has more users, CIRP says more of them are switching to iPhone in absolute numbers than the other way around.) Instead of worrying about mass defections from iOS, Apple should focus on the bigger growth opportunity in hardware and services beyond the smartphone. iMessage can help with that. Let’s say an Android user gets hooked on iMessage and wants to keep their conversations going on a tablet, smartwatch, computer, or smart speaker. In all those cases, that user would still need Apple hardware. And for the small percentage of Android users who are willing to switch smartphone platforms, an Android version of iMessage could help sway them by hinting at iPhone-exclusive features, such as the ability to make Animoji. At the same time, Apple could squeeze some services revenue from Android users through sticker purchases and peer-to-peer payments. In the past, Apple has released its software on competing platforms when it makes strategic sense, and sometimes just as a courtesy. iTunes landed on Windows in 2003 to boost the iPod’s appeal, for instance, and Apple Music launched on Android in 2015 to reach more users in overseas markets where Google’s operating system dominates. iCloud services are available on the web so that PC users can access their documents or find their phones in a pinch, and iCloud Drive is on Windows to compete with other cross-platform storage services like Dropbox. Releasing iMessage on Android would also yield strategic benefits for Apple, ones that would far outweigh the minuscule risk of people abandoning their iPhones for Android. And with Google rallying carriers and phone makers around an alternative, now would be the perfect time for Apple to make its move.